Which one of these buildings doesn’t seem to fit? While everyone was in the meeting where they agreed to paint their roofs black, this guy decided to be the rebel of the group and go blue anyways. I kid of course, but the history is actually quite interesting. 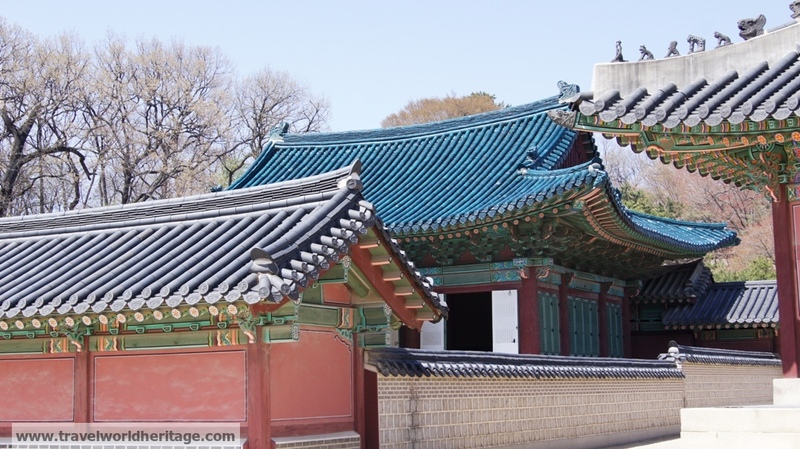 This building, located in Changdeok Palace has the distinction of being the only one with different colored roof tiles. It used to be the king’s study where he read scrolls, passed laws, and did all of those great king things. To distinguish it from all the other ones in the royal court, it was painted blue. Having been to Changdeok Palace many times, I was surprised how I didn’t even notice this until now. The house of the president of Korea in modern times, is known as the “Blue House” and has its roof similarly painting to commemorate Korea’s rich history.